Disney StoreBaby Outlet's New York, NY location offers the latest in official Disney merchandise, including Disney toys, clothes and Disney collectibles featuring everyone's favorite characters including Mickey Mouse, the Disney Princesses, Fairies, Buzz Lightyear, Pooh and so Many More! 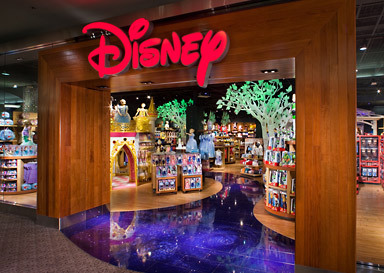 Serving as the flagship location, the Disney Baby Store at The Americana at Brand offers an exclusive array of high-quality bedding, apparel, toys, special occasion items and more that add an extra dash of magic to your time with Baby. Every Saturday between April 6th and May 4th at 3pm. Guests can participate in a special event to celebrate the build-up to Avengers: Endgame. Guests are encouraged to come dressed as their favorite Marvel character for this exciting storytelling adventure as a Cast Member leads them through key story beats from the Avengers - with a few surprises. Join us for a magical opening ceremony every day! One Guest is selected daily to help open the store and will receive an exclusive keepsake! Contact your local Store for event times and details.